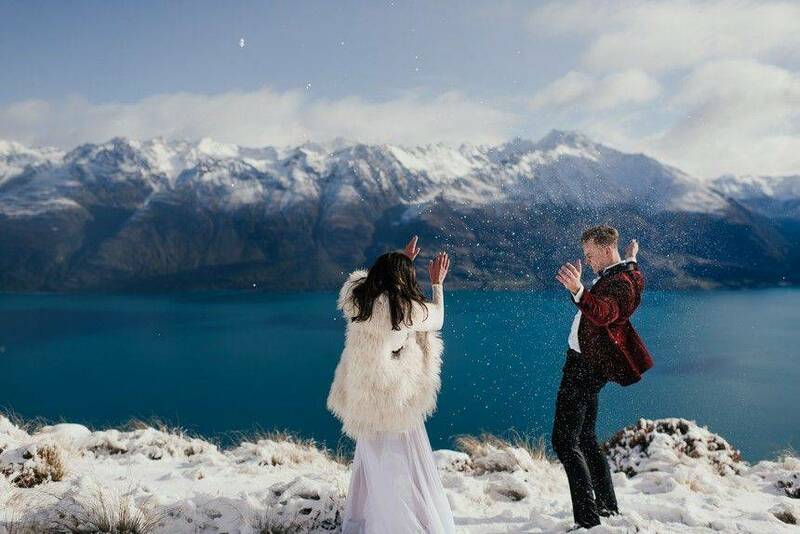 Whether you’re eloping or renewing your vows, Matakauri Lodge can offer a seamless Heli-Wedding experience with this inclusive package. Set against the most spectacular backdrop this is the ultimate way to say “I do”. Enjoy a scenic helicopter ride over Lake Wakatipu and The Remarkables, before landing on a flat rock plateau known as The Ledge. At 1428m/4700 ft., The Ledge can only be described as nature truly providing the perfect spot, high up in the mountains, for this truly special moment. 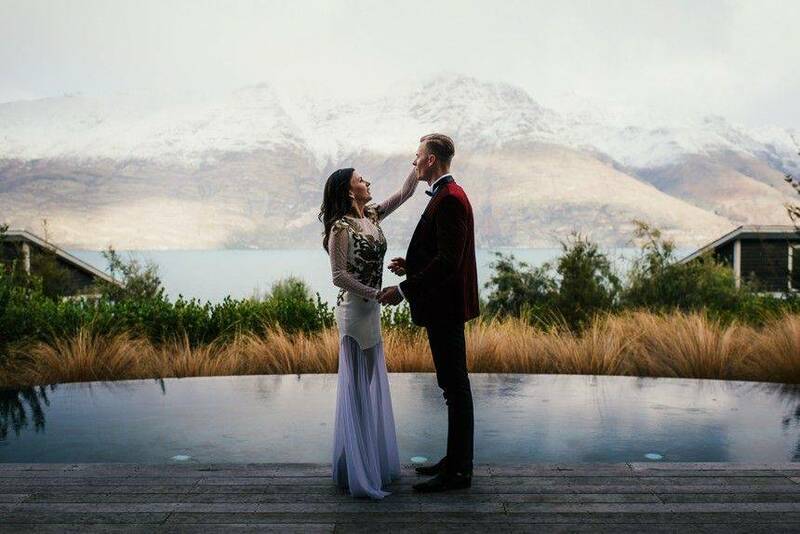 With cliff drops on three sides, The Ledge offers amazing views over Lake Wakatipu and is quite simply, the most incredible spot for wedding photos! After a dreamy, unique and exhilarating nuptials, retreating to the comfort and serenity of Matakauri Lodge for a night of private dining is a fitting finale. 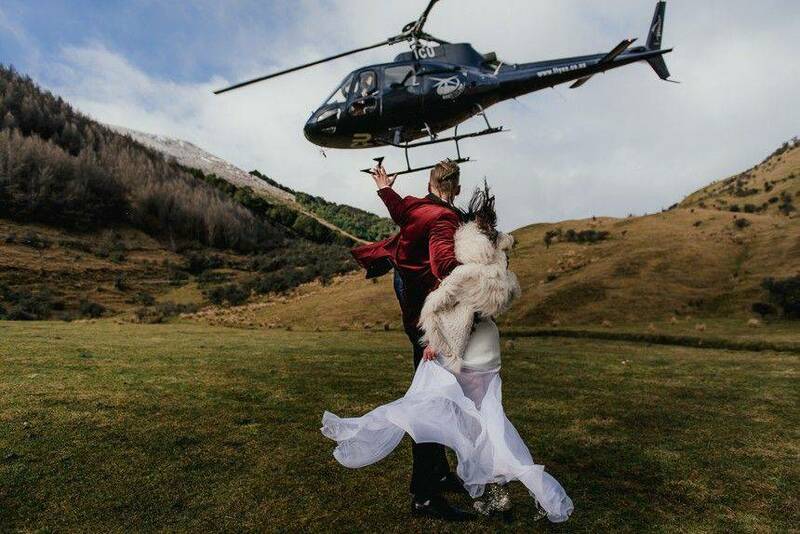 The team at Matakauri Lodge will personally and seamlessly coordinate all aspects of your big Heli-Wedding day. 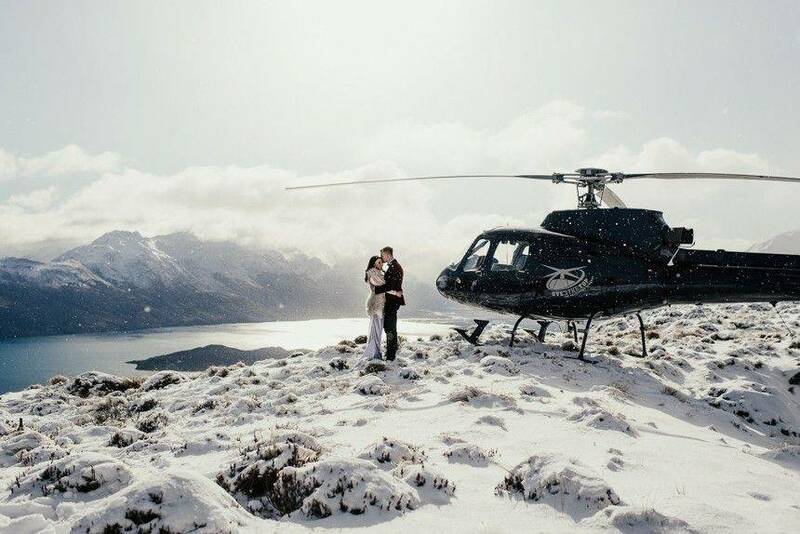 Heli-Weddings at Matakauri Lodge start from NZ $10,350.00 (excluding 15% GST). Would you like to reserve the Heli Wedding?